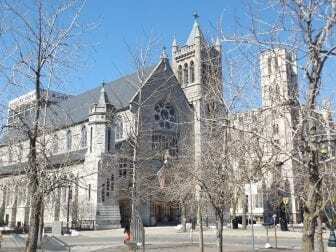 “Some people abused as children by clergy in the Syracuse Roman Catholic Diocese must decide by June 18* whether to participate in the diocese’s compensation program, or wait to see if state lawmakers pass a bill that would extend the statute of limitations, so they could sue later. The Diocese of Syracuse includes the Binghamton and Cortland areas. That bill is the Child Victims Act. Besides extending the statute of limitations for people abused as children to sue, it would also open a one-year window, so that those previously barred through the statute of limitations to bring their case to court could do so. “But that’s not the law and so we’re stuck with what we have,” said Attorney Mike Reck, who represents victims in the Syracuse Diocese. Under current law, people abused as children must sue by the time they’re 23. That means one of the only options many victims in Syracuse have is the compensation program, “which is a process that, while it’s not perfect, it does offer some accountability, some measure of justice, and it’s available now,” Reck said. The Syracuse Diocese invited around 70 people to take part in the program. If they participate, an outside arbiter will look at their case. Then they can either accept the settlement offer or not. Here’s the thing, once accepted, that person cannot sue the diocese in the future, even if the Child Victims Act passes and raises the statute of limitations. What they could still do, is recount the details of the abuse. The diocese is not requiring people to sign non-disclosure agreements. What’s not in their hands is whether information on the diocese comes out, like exactly what it knew and when. That’s the kind of information that could come out in court. Court also lends itself to higher payouts. The deadline to participate in that program is next week.